Working with a personal trainer is the most effective and safe way to reach your goals. Our Certified personal trainers in the Randallstown area, will design a workout program specifically tailored to target your individual needs. We offer personal training programs for people of all ages and fitness levels. If you have a goal, we can design the program that will help you to achieve that goal quickly, and in a safe manner. 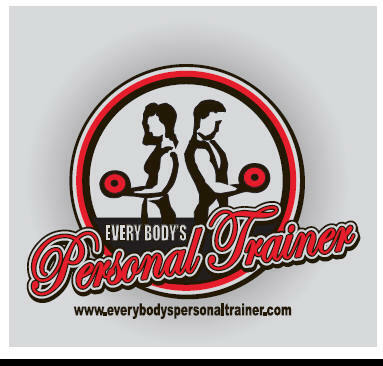 At Every Body's Personal Trainer, we have personal trainers in all of Randallstown, as well as Baltimore County. If you live in the Randallstown area, you need not look any further for your in home personal trainer. Our in-home personal trainers are among the best in Maryland, and we look forward to serving our clients in the Randallstown area. Have one of Randallstown's best personal trainers work with you in the comfort of your own home. Our in home personal trainers will bring the equipment necessary to give you a great total body workout in the convenience of your home. Give us a call today to get started on your path to achieving your goals with one of our in home personal trainers. Below you can view, and read, about our personal trainers in the Randallstown area. Have an in home personal trainer get you into the greatest shape of your life today!!! Eric is the owner of Every Body's Personal Trainer, and he is a personal trainer in the Randallstown area. Stacey is an in home personal trainer who personal trains in the Randallstown, Maryland area. "Randallstown's Best In Home Personal Trainers"
Aberdeen, Abingdon, Annapolis, Anne Arundel County, Arnold Maryland, Ashton, Baltimore Maryland, Baltimore County, Maryland, Bel Air Maryland, Beltsville, Berlin, Bethesda, Maryland, Bladensburg, Bowie Maryland, Brandywine, Brooklyn, Maryland, Burtonsville,Calvert County, Cambridge, Capitol Heights, Catonsville Maryland, Centreville, Charles County, Chester, Maryland, Chestertown, Chevy Chase, Maryland, Clarksville, Clinton, Ocean City, Odenton, Owings Mills, Maryland, Cockeysville Maryland, College Park, Columbia Maryland, Crofton, Cumberland, Damascus Maryland, Denton, District Heights, Dundalk Maryland, Dunkirk, Easton, Edgewater, Edgewood, Eldersburg Maryland, Elkridge Maryland, Ellicott City Maryland, Fort Meade Maryland, Frederick Maryland, Frederick County, Fulton Maryland, Gaithersburg Maryland, Germantown Maryland, Glen Burnie Maryland, Glenelg, Glenwood, Hagerstown Maryland Hampstead, Highland Maryland, Jessup Maryland, Laurel Maryland, Lutherville Maryland, Manchester Maryland, Marriottsville, Mt. Airy Maryland, New Market Maryland, Odenton Maryland, Olney Maryland, Owings Mills Maryland, Pasadena Maryland, Pikesville Maryland, Potomac Maryland, Rockville Maryland, Silver Spring Maryland, Sykesville Maryland, Randallstown Maryland, Towson Maryland, Urbana Maryland, Westminster Maryland, Wheaton Maryland, Randallstown Maryland, Woodstock, Anne Arundel, Arnold, Baltimore, Baltimore County, Carroll County, Columbia, Howard County, Clarksville, Columbia, Frederick, Frederick County, Fulton, Maryland, Eldersburg, Elkridge, Elkton, Ellicott City, Essex Maryland, Fallston, Finksburg, Forest Hill, Fork, Fort Washington, Frederick, Frederick Township, Frederick County,MD, Frostburg, Fulton, Gaithersburg, Gambrills, Germantown, MD, Glen Burnie, Greenbelt Gwynn, Oak, Hagerstown, Halethorpe, Ocean City, Odenton, Maryland, Hampstead, Hanover, Havre De Grace, Highland, Howard County, Hunt Valley, Huntingtown, Hyattsville, Jarrettsville, Jessup, Maryland, Joppa, Kensington, LaPlata, Lanham, Laurel, Leonardtown, Lexington Park, Linthicum Heights, Lutherville, Manchester, Monrovia, New Market, Owings Mills, Randallstown, Towson, New Market, MD, Manchester, Mechanicsville, Middle Rive, Middletown, Millersville, Monrovia, Montgomery County, MD, Mount Airy, New Market, MD, North Beach, North East Nottingham, Oakland, Ocean City, MD, Odenton, Olney, Maryland, Owings, Owings Mills, Oxon Hill, Parkville, Pasadena, Pikesville, Pocomoke, Potomac, MD, Prince, Prince Georges County, MD, Frederick, Frederick County, Princess, Anne, Randallstown, Reisterstown, Rising Sun, Riverdale, Rockville, MD, Rosedale, Saint Michaels, MD, Salisbury, Ocean City, MD, Severn, Severna Park, Silver Spring, Solomons, Stevensville, Suitland, Sykesville, Takoma Park, Taneytown, Temple Hills, Thurmont, Randallstown, Towson, Upper Marlboro, Urbana, Waldorf, Westminster, Randallstown, White Plains, Williamsport, Maryland, Windsor Mill, Maryland, Anne Arundel County, Arnold, Baltimore, Baltimore County, Bethesda, Baltimore City, Catonsville, Clarksville, Cockeysville, Columbia, Eldersburg, Elkridge, Ellicott City, Essex, Fort Meade, Frederick, Frederick County, Fulton, Gaithersburg, Glen Burnie, Glenelg, Glenwood, Hampstead, Highland, Laurel, Lutherville, Manchester, Marriottsville, New Market, Odenton, Olney, Owings Mills, Pikesville, Rockville, Silver Spring, Sykesville, Randallstown, Towson, Urbana, Westminster, Randallstown, Woodstock, Arnold, Baltimore, Baltimore County, Bethesda, Bowie, Carroll County, Catonsville, Clarksville, Cockeysville, Columbia, Frederick, Frederick County, Fulton, Gaithersburg, Highland, & Howard County, Anne Arundel, Arnold, Baltimore, Baltimore County, Bel Air, Columbia, Damascus, Dundalk, Eldersburg, Elkridge, Essex, Fort Meade, Frederick, Frederick County, Gaithersburg, Germantown, Hagerstown, Hampstead, Highland, Jessup, Laurel, Lutherville, Manchester, Monrovia, New Market, Odenton, Olney, Owings Mills, Pasadena, Potomac, Rockville, Silver Spring, Sykesville, Urbana, Walkersville Randallstown, Mt. Airy, Waldorf, Westminster, Wheaton, Ft Washington, Clinton, Upper Marlboro, Urbana, Maryland. Our personal trainers, at Every Body's Personal Trainer, are available for in home personal training at all of the above locations. Have one of Randallstown's best personal trainers work with you in the comfort of your own home. Our personal trainers will bring the equipment necessary to give you a great total body workout in the convenience of your home. Give us a call today to get started on your path to achieving your goals with one of our in home personal trainers.